Friends University is about to fund STEM scholarships for fifty USD 259 graduating seniors. The program, starting this fall, will fund degrees in science, technology, engineering and math for up to 18 hours per semester. The program starts this fall and is geared toward students pursuing degrees so they can become health care providers, scientists, cybersecurity experts, and computer systems engineers. While the STEM Promise program covers tuition only, some other costs (books, fees or campus housing) can be defrayed by other available programs or an on-campus job. For more information about the USD 259 STEM Promise program, visit friends.edu/usd259, email admissions@friends.edu or call 316-295-5100. Photo courtesy of the Army Corps of Engineers. 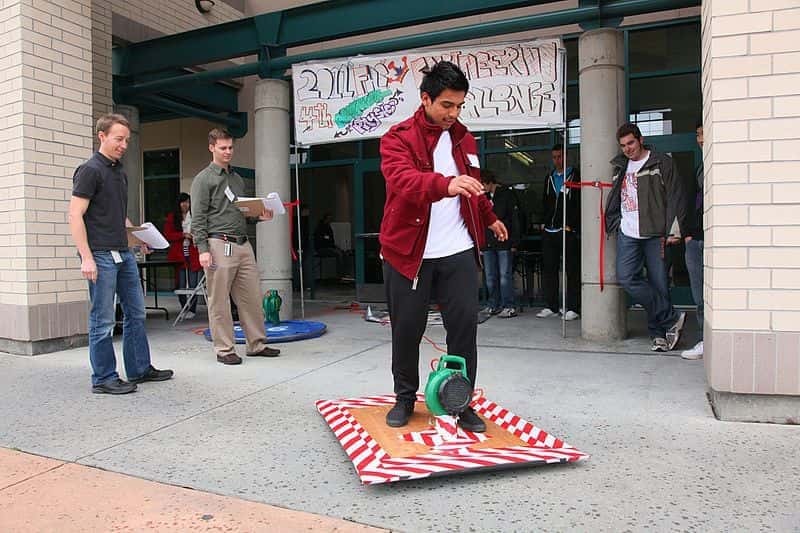 FOLSOM, Calif. (May 17, 2011) – Judges Eric Kennedy (left) and Thomas Savage (second from left) admire the talents of Folsom High’s Johnny Mannuel on a hover craft he and his team designed and built for the physics and engineering event at Folsom High here May 17. Kennedy and Savage were two of three judges from the U.S. Army Corps of Engineers Sacramento District’s engineering division that participated in the school’s 4th annual Folsom High School Engineering Challenge. 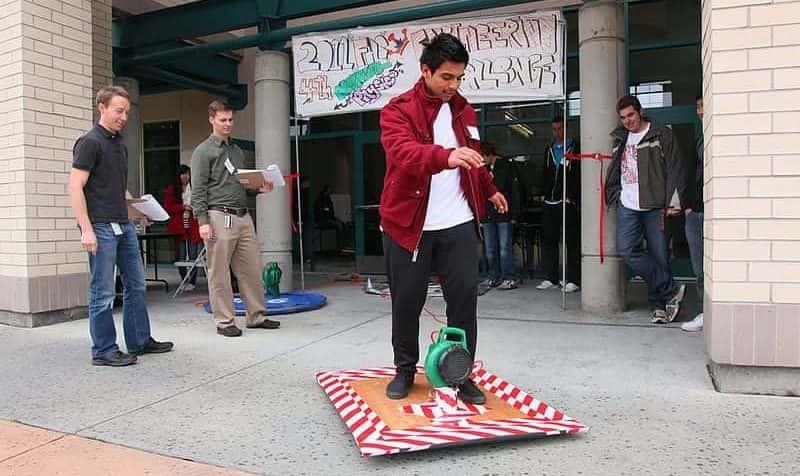 The students displayed various rocket, solar, hover, catapult, air compression, electro, magnetic and light-bending projects with detailed narratives of their experience for the judges.